Hanaya, Inc. is a designer and manufacturer of friction hinges used in many commercial and industrial applications including electronics, medical, marine, automotive, aircraft and home products. Our hinges have been engineered and tested to provide smooth consistent torque over life. Hanaya, Inc. has been providing precision quality innovative solutions to the industry for more than 10 years. 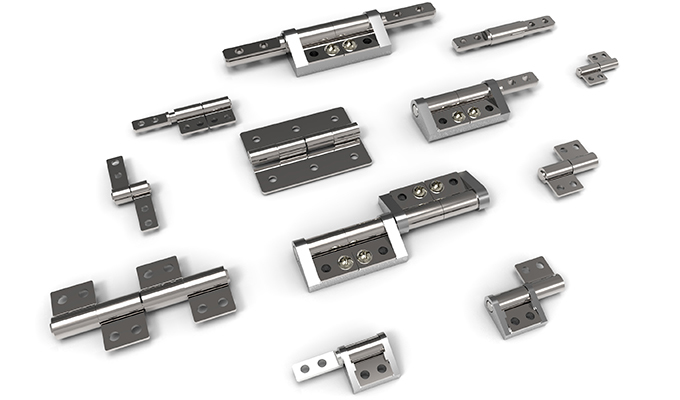 We have a standard line of torque hinges ranging from 0 to over 100 in.lb (0 to over 11 N.m). In addition to our standard line of products, we also work with our customers to produce semi-custom or fully custom hinges solutions to fit their OEM applications. Hanaya, Inc. is dedicated to provide customers with recommendations and solutions at a cost effective price while not compromising quality and product performance. Our manufacturing plant in Asia has produced friction hinges for HP, Dell, Sony and a wide variety of OEM customers around the world. With our team of engineers in the US and the manufacturing capabilities in Asia, Hanaya, Inc. is positioned to become the leader in the hinge motion control industry. We are committed to provide unique and unconditional services to all our customers. We’ll be happy to provide you with solutions to your application.